A number of musical events that had been lined up for this weekend have been affected by the on-going industrial action that started on Monday. Everything in the country is on standstill; there is little or virtually no movement of people from one point to another, because of the mass stay away, hence affecting the lined up events. 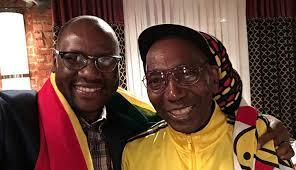 In Harare, chimurenga music maestro Thomas “Mukanya” Mapfumo was supposed to perform at EastPoint on Saturday. On Friday, Zora musician Leonard Zhakata was billed to perform at the same joint. “We have lined up concerts for this weekend but it’s unfortunate that we did not find time to advertise or promote the concerts. We will decide tomorrow (today) on whether to carry on with the schedule. “However, chances are high that we might be forced by the situation to push the events to next week, provided the prevailing situation calms down,” DJ Danny said. Meanwhile, the Saturday event was supposed to be Mukanya’s farewell gig as he is set to return to his base in America. If he fails to perform on Saturday, it means the show would have been cancelled for good. City Sports Bar manager Mathias Bangure said they have put all musical events on ice. “After the stay-away rumour, we have decided to put on hold all musical events till further notice,” Bangure said.